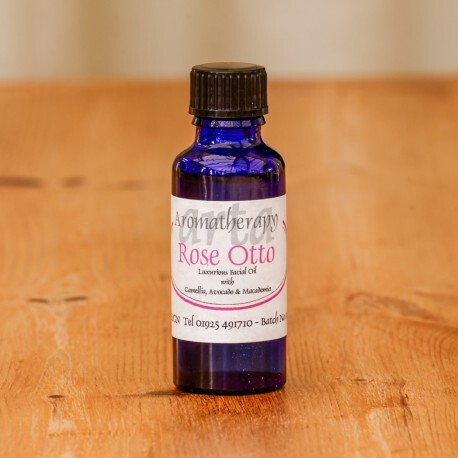 Rose Otto an uplifting aromatic oil, acclaimed for its use in natural skin care. Combined with Camellia, Avocado & Jojoba Oil we have created the ultimate facial oil. Apply in the evening, just before bed time. A few drops in the palms and massaged into the face will absorb fairly quickly. Drift off to sleep with the beautiful aroma of rose and awaken with super soft well nourished skin. Rose Otto – known as ‘the Queen’ of oils, is cultivated in the mountainous region of Bulgaria. It has to be picked just after the dew and distilled immediately to maximise the oil yield. It takes 30 Rose blossoms to produce one drop of oil!